Bill C-59 – legislation intended to remedy many of the flaws in the widely condemned Harper government legislation, Bill C-51, which became The Anti-terrorism Act, 2015. Bill C-47 has been the subject of many Rideauinstitute.ca blog posts. Sustained pressure from civil society has resulted in one significant amendment to the draft legislation, but glaring loopholes still remain. 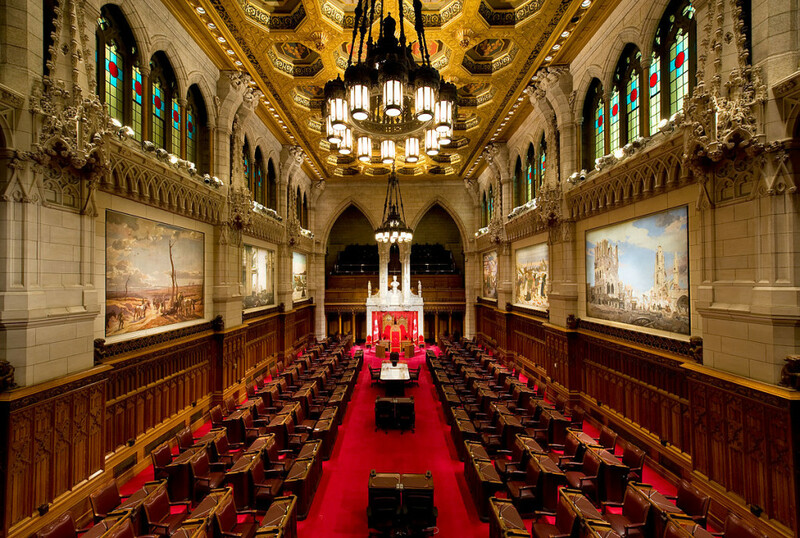 “The broad coalition of NGOs that has worked so hard to improve Canada’s arms export control regime will be gearing up again this fall to ensure that our Senators are made fully aware of the need for further amendments,” says RI President Peggy Mason. The mass shooting in Toronto’s Greektown this summer, following on the heels of other gun deaths in Toronto, has highlighted the fundamental importance of strengthening Canadian domestic gun controls. This in turn has brought further much-needed attention to Bill C- 71, which received third reading in the House of Commons on June 20th, 2018. For the full testimony by Wendy Cukier to the Parliamentary Committee hearings into Bill C-71, click Testimony of Wendy Cukier, Coalition for Gun Control (24 May 2018). Given the shortcomings in Bill C-71 and the calls from Toronto Mayor John Tory for federal action, the Justin Trudeau Liberals recently announced that Bill Blair, Minister of Border Security and Organized Crime Reduction, will lead a study on totally banning handguns and assault rifles. “You should lead an examination of a full ban on handguns and assault weapons in Canada, while not impeding the lawful use of firearms by Canadians,” Blair’s mandate letter reads. Last but not least is Bill C-59, legislation that was supposed to remedy the terrible defects and overreach of the Harper legislation, Bill C-51, that was condemned by eminent jurists, former prime ministers and academic and non-governmental experts alike. Unfortunately, while the Liberal legislative proposals have some very positive elements, serious defects remain. All of this legislation will now be the subject of Senate hearings and it will be imperative for civil society to make its views known. We will count on your support in this vital ongoing effort to ensure that the Liberal government hears and heeds us!